Paneer tikka is a very popular Tandoori starter in India. It can be easily prepared at home in your own oven almost like restaurant style. Paneer tikka is a vegetarian Tandoori starter delight without which any Indian restaurant menu is incomplete. Paneer tikka is baked in the oven or grilled after marinating the vegetables and paneer (Indian cottage cheese) in a blend of spices and yoghurt. 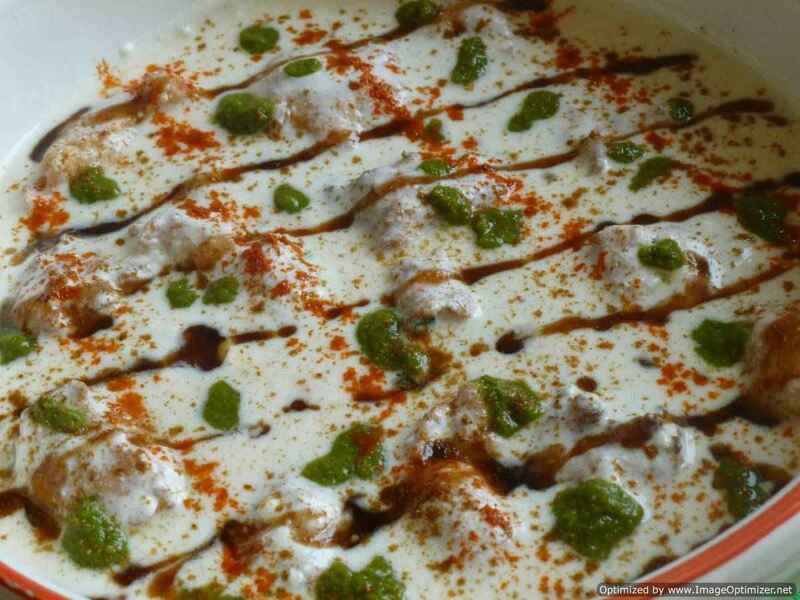 Hariyali paneer tikka is a mouth-watering Indian starter served in Indian restaurants. You can prepare this dish easily at home. Hariyali means green colour. Paneer is marinated or coated in hari chutney (green chutney), which gives a different flavour and taste from the usual paneer tikka. The green chutney is made of mint and coriander leaves which gives this paneer tikka a fresh herby flavour. Palak pakora or pakoda / Spinach fritters is a deep fried Indian snack, which is enjoyed well during evenings with a cup of tea. It becomes more enjoyable during rainy season. This time, I have prepared Palak pakora or pakoda / Palak Bhajia in North Indian style. These Spinach fritters / Palak pakora or pakoda are crispy from outside and soft from inside. It is best served hot with hari chutney (green chutney). Onion pokada is a popular street snack in Tamil Nadu, enjoyed scrumptiously with family during evening times along with tea. I often crave for or remember the onion pakodas when the weather is pleasant or during rainy cold winters. 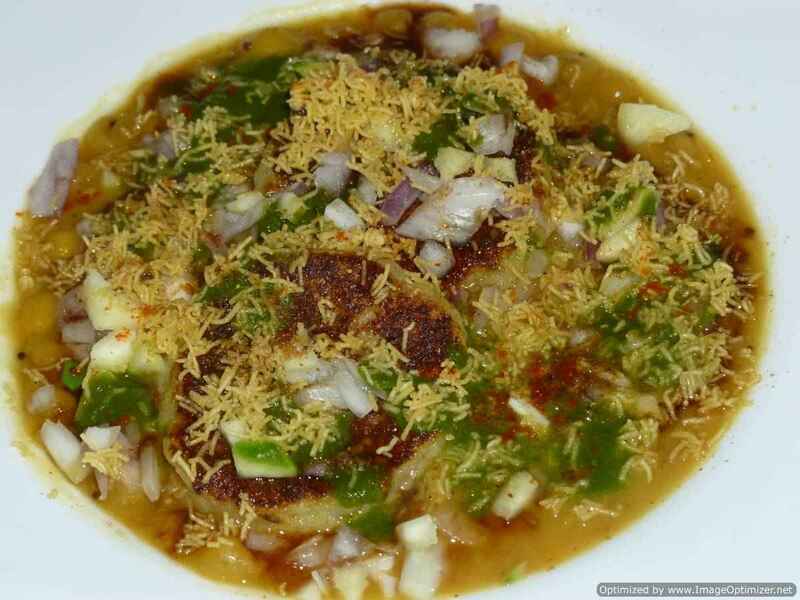 Onion pokada is a deep fried fritter made with besan (gram flour) and spices. This recipe that I am sharing for onion pokada is in South Indian style known as vengaya pokada (onion pakoda) in Tamil, which is crispy and entirely different from the North Indian version of pokadas (kanda bhaji). Restaurant style Gobi 65 / Cauliflower 65 is a perfect snack/starter. I have already shared home style cauliflower 65. There are so many variations in how you can prepare this dish. Restaurant style Gobi 65, crisp from outside, reddish in colour, served with onion rings and lime/lemon wedge, is a mouth-watering starter and one of my favourites. 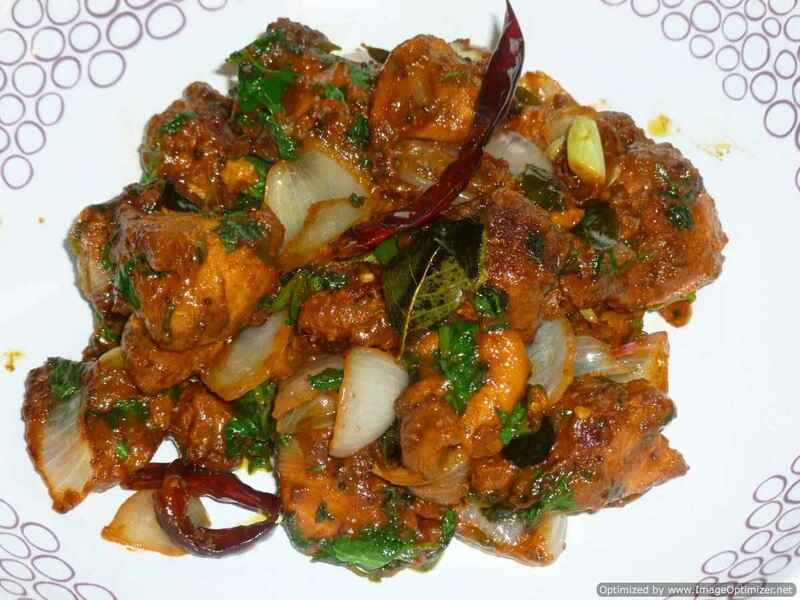 Gobi 65 is a very popular vegetarian starter in South India (Chennai) like chicken 65. The secret behind the crispness of the Gobi 65 is that the flour should be dry and not like a batter. One of the most famous snack or starter is Punjabi samosa. The traditional Punjabi samosa is large in size and is filled with mashed potato and few spices, sometimes you can see peas, cashew nut and raisins, the combination gives more flavour and the filling becomes tastier. The filling in the samosa can be of your choice. I used to have this Punjabi samosa in few places only where there were famous and served with two chutney (green or hari chutney and tamarind chutney), which were delicious. 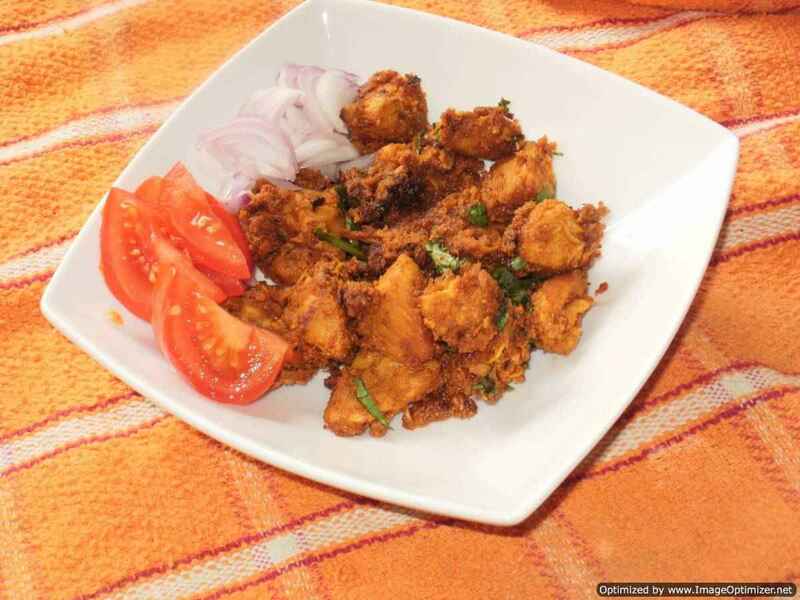 Cauliflower 65/Gobi 65 is a very popular snack or starter in south India as a vegetarian version. 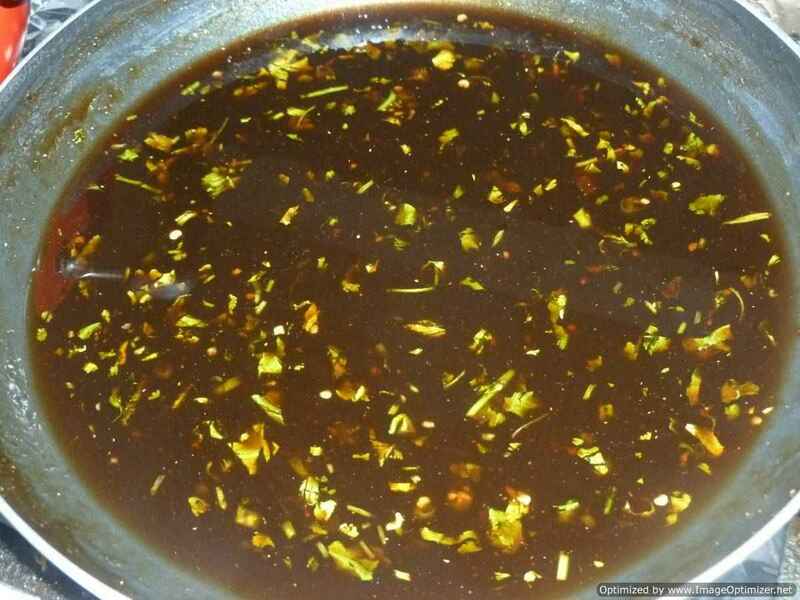 You can use the marinate of chicken 65, for cauliflower65, refer recipe. I tasted this first in Coimbatore where it is very popular as a street food. The cauliflowers are well coated in reddish sauce (marinate) and when it is fried, it gives a very good and crispy colour which attracts every one. Cauliflower pakoda is one of my favourite snacks and I cook it whenever I crave for it. Pakoda is an important snack in India as a street food and it is eaten mostly evening times, served in newspaper as a plate or disposable plates with chutneys. During rainy times, the first thing that comes to mind is hot tea and hot pakodas. Pakodas can be made from onions, cashews, cauliflower and many more. Samosa is a fried pastry with mild or spicy or sweet filling. Phul kopir (cauliflower) samosa is a famous Bengali snack. In Bengal, samosas are called shingara. Shingara is smaller in size and just 2 to 3 bites only like as we get those small mini onion samosas in Chennai near marina beach or busy markets or sometimes in a tea shop and also in Hyderabad both vegetarian and non – vegetarian in Irani or Muslim’s restaurant’s. 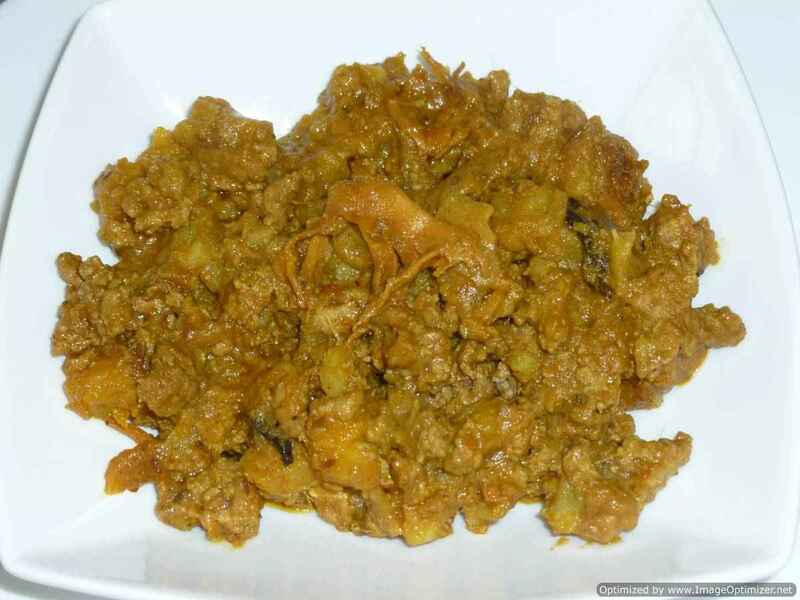 The filling for shingara I have used is cauliflower and potato mixture with nuts and few spices. Potato and biscuit cutlet is one of my childhood memories, I still remember, when I am back from school, I used to get this potato cutlet, which is sweet and spicy but not much when I started eating spicy food. During my school days, in holidays, I started making cutlets, just helping mother in peeling, mashing potato, mixing and making round shape cutlet. These colourful stuffed patties are delicious, healthy and it is like surprise for the kids and elders. As soon as the kids or elders break it either they can find green colour or dark maroon colour which is because of spinach and beetroot. It is like any other potato pattie made but stuffed with 2 different varieties. I made this for the first time and it was an instant hit. A lot of people liked it. It was very crispy with a buttery touch and it just melted in the mouth. You can make it for any occasion. You can make the pastry in advance and keep it ready for any occasion. Here is the recipe for making the puff pastry. Paneer sticks are served as a snack or as a starter for all paneer lovers. Paneer is cut into long length wise and covered with potato mixture, coated with bread crumbs or sesame seeds and deep fry it in the oil. The potato mixture, I made, divided into 2 portions and added different spices in each, to show you can make varieties in it and can add any ingredient you like. It is a crispy pastry made with maida (flour) and butter and stuffed with some vegetables or any meat and then it is baked. This is a snack which we usually use to have in the evening between 4pm to 6pm. We use to have it with tea. From school days to college days, we use to have it. We get vegetable puff or chicken or mince meat or egg puffs. In south India, if you visit any bakery shop, you can find banana chips known as yellow chips also because of its colour. I always call it as yellow chips instead of banana chips. In Tamil nadu, Karnataka and Kerala every where we get it and other places also. Whenever my father visits to kerela , the banana chips will be in demand though I get it in Chennai, just for a change to taste the banana chips of kerela. Mushroom a healthy vegetarian alternative for meat. This is for mushroom lovers. Mushrooms are known for nutritional and low calorie food. Mushrooms can be stir fried, made curries, soups and also eaten raw. I have used white mushrooms known as button mushrooms for my cutlet. Very simple and few ingredients go in it. For coating, I have used Bombay rawa (semolina- but course) and coriander leaves, can grind them coarsely to give a green colour. 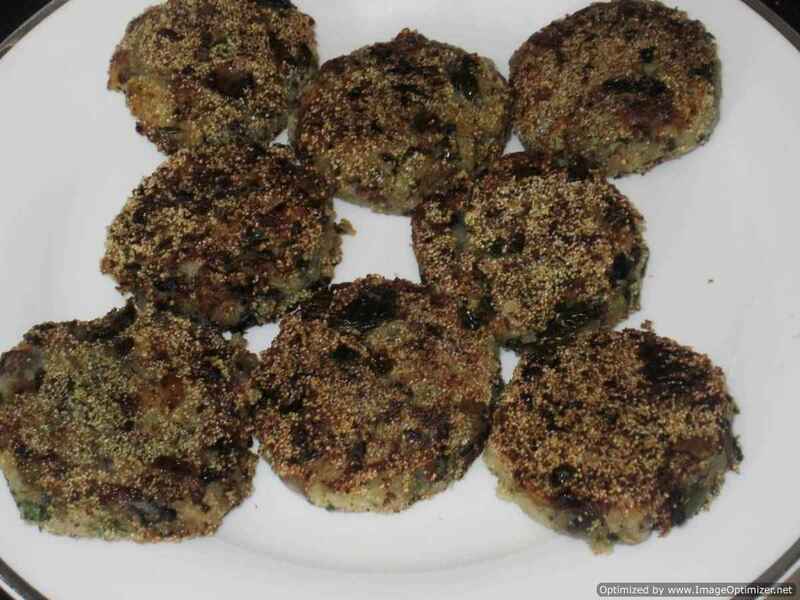 This mushroom cutlet is so delicious with its own mushroomy flavour and taste, try it. This time I have taken tandoori masala ( ready made, any brand), for the marinade, to grill the kebabs and give that reddish colour to my vegetables. 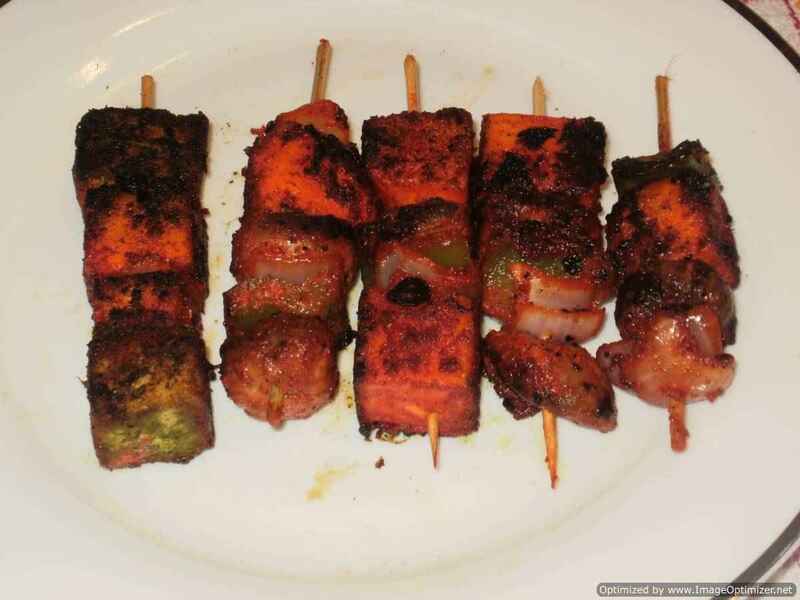 In my other recipe I prepared hara masala (green masala) paneer and vegetable kebabs. 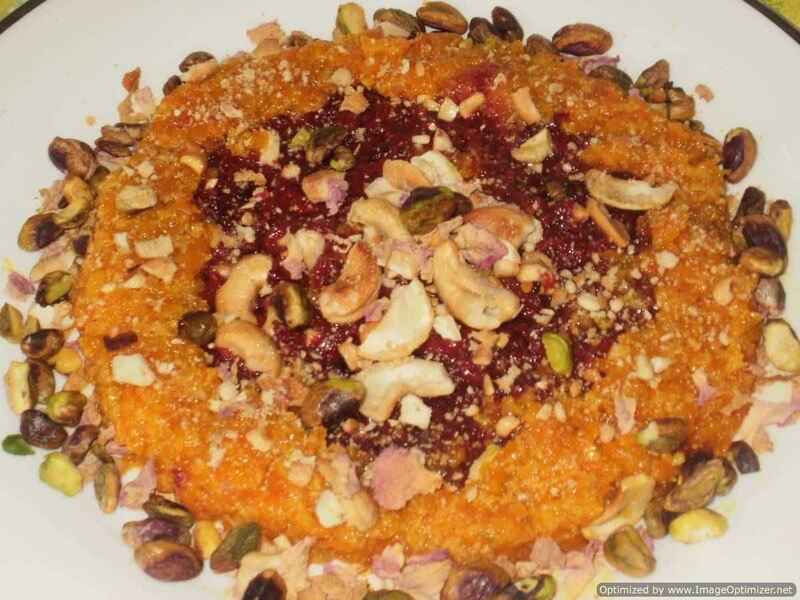 Can see the picture, it gives good colour, impressive for the parties and tasted good too. Can use any vegetables you like, can grill or cook in the oven. 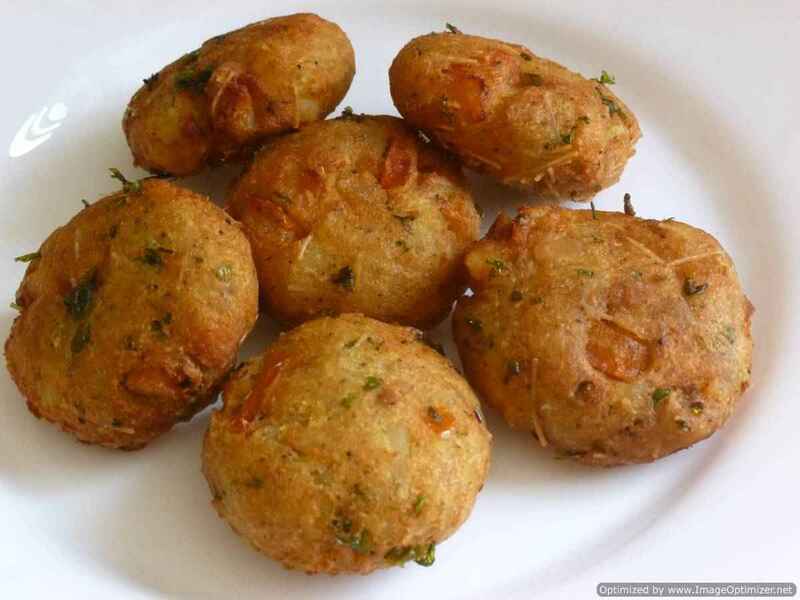 Medhu vada is a very popular break fast in south india. Medhu vada is served with sambar and coconut chutney. It is like a doughnut shape but taste differs. Medhu vada is made with urad dal, which is soaked in water for few hrs, then ground to a thick paste and then fried in deep oil. 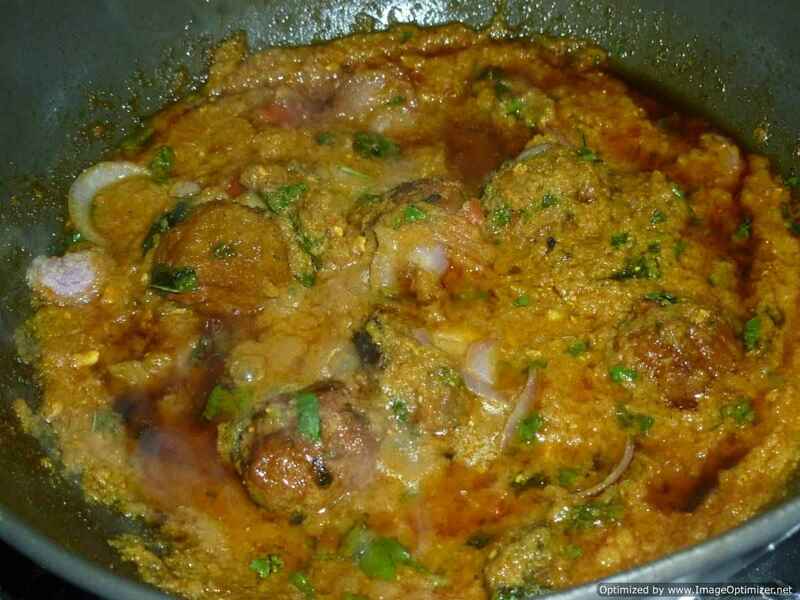 This is one of my favourite dish. I like curd vada more than sambar vada or any vegetable vada. Whenever vadas are made at home, there will be fight between me and my brother as I want curd vada and my brother wants just vadas, but both of us get what we want. Upma is a south Indian break fast. There are varieties of upma and also variations in upma. Upma is usually made with sooji, commonly known as rava in south India. There are varieties of upma like rice upma, sooji (rava) upma, cous-cous upma and bread upma.